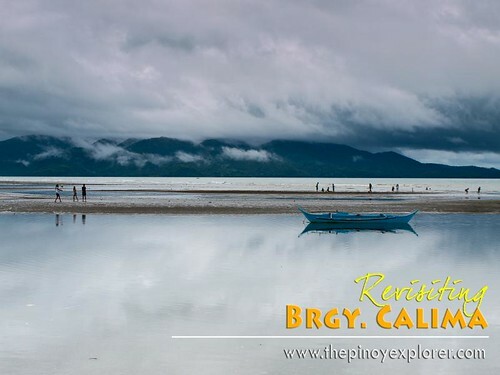 At a glance, Brgy, Calima in Pola, Mindoro Oriental, is just another ordinary coastal barangay. On a second look, and with a keen eye for something beautiful, however, it will reveal its rustic appeal. It is not a sleepy village at all. Economic activity is very much alive. They have village stores where you can buy your basic necessities without going to town. Although it is separated from the town by a river, transportation is not a problem. 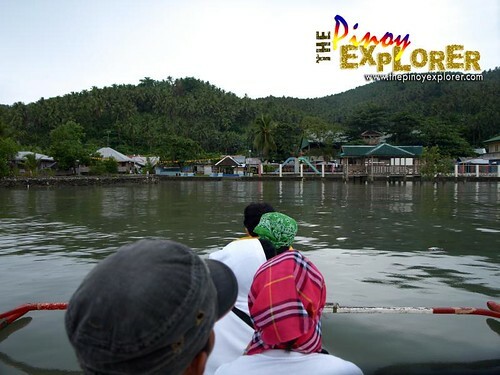 For P5.00 you can easily just cross the estuary, and ride a single motorbike for P5.00 or P10.00 for a solo back ride. 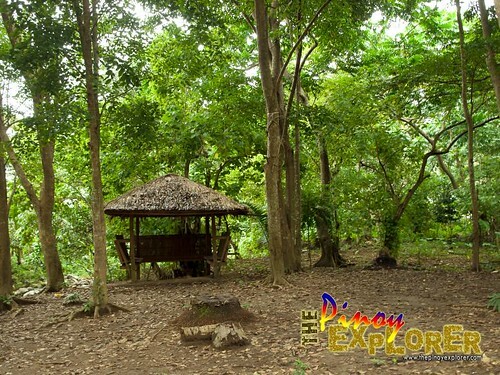 In 2 minutes from the riverbank, you are already in the barangay center where all the basic amenities are a few steps away, except for the elementary school which sits on the hill around 50 meters high. ahead to the small port. Austere as they may be, there is something that makes Calima's people endearing. There seems to be no idle moment for most of the residents. You will find women tending their homes and sweeping their backyard and streets. 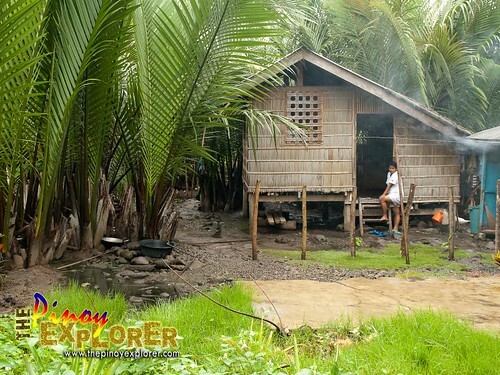 Thus, I could not help but compare this community with other coastal barangays I have visited. The community is relatively clean except that they need to manage their solid waste (which, as of my last visit, is a big concern in the deliberations of the Barangay council). A clean and green community. While households have a source of entertainment they are not preoccupied with their television sets or radio except, perhaps, during lunchtime when they have to watch their fave noontime shows, and at night for their soaps. If you happen to visit the place on a weekend, you would wake up, even before the crack of dawn, by the loud dance music playing at the community plaza, a.k.a. covered basketball court. Pray that you would be dead tired from the previous day's travel, or you'll find this quite annoying. But it was okay. we were guests, and we could not complain. So, what is the loud and thumping dance music all about? I was told it was time for moms' and grandmas' weekly aerobic exercise. I was told I should have taken photos of them. I agree it would have been a documentary piece, but I was lulled back to sleep and dreamt, instead, I was partying in a club or so. [Smile!]. After breakfast, men proceed to their farms up on the hills or go fishing. Teenage boys play basketball while the girls help in their households. 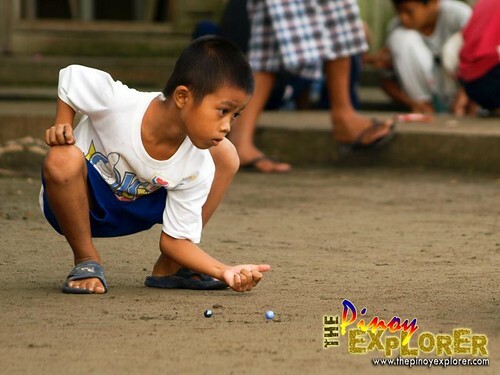 Children, on weekdays, go to school or you can find them playing traditional Filipino games like dama, patintero, piko jolens or simply enjoy the slides and monkey bars in the playground during weekends. 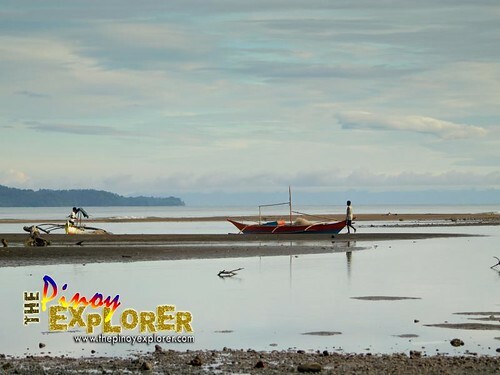 During low tide, you can see them gleaning on the shores looking for shells and other edibles like sea urchins and sea cucumber. Boys the playing traditional marble game. Fishermen tending their boats during the low tide. Ideal? Maybe. That is because everyone is is part of "isang pisa." Isang pisa, like a single hatched egg, is a colloquial term for "angkan" [clan]. 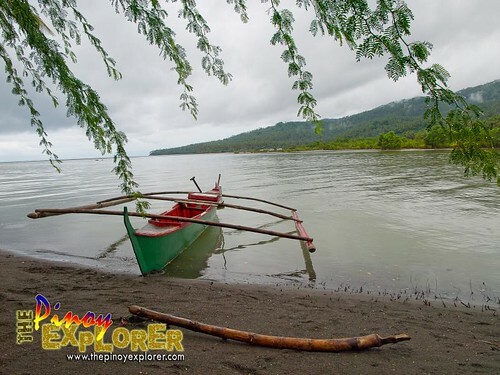 Calima got its name from the five (5) families [lima or five] from the province of Romblon who settled in this community. These families, who happen to have family names that start with letter "F," also come from a single clan in Romblon. So, practically, everyone is related by blood affinity. Everybody knows everyone, and everyone is friendly to total strangers. Blood affinity works well in terms of politics. 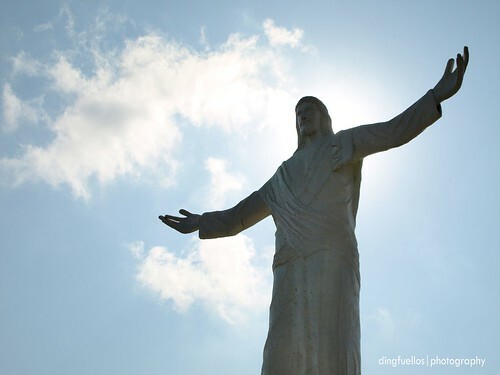 It does not matter who wins in the next election for the Barangay officials. So everyone gets to support the local leaders who happen to be their relative so they can also speak their minds to their officials like they were their younger or older brother or sister. It also takes pride in being an awardee for having a zero-crime rate. Why not? Nobody would dare commit a crime against a blood relative. Of course, one cannot prevent some occasional brawls among teenage boys and among men. However, they cannot evade justice in this small village. Without discriminating about who started the fight, all who were involved are all "sentenced" to do a day of manual labor like cleaning the community or hauling sacks of sand from the beach. The worst and, perhaps, the amusing and most excruciating part of their punishment is that they serve their sentence right in front of the witnessing community, and they become the laughing stock of young boys and girls cheering and jeering at them. Since the last verdict was made, nothing of this sort has happened--simply because the boys and men are just too shameful to act stupid and be shamefully punished that way--again. A classic example of value for hiya or shame? Definitely. a camping ground during summer. The rustic charm of the place cannot escape from a photographer's keen eye. Yes, it does not have those wide and white sand beaches that could pass for a postcard. It is near an estuary, which gives additional character to the place. I have visited the place twice and in those two instances, it was always overcast and always raining. The colors were drab. 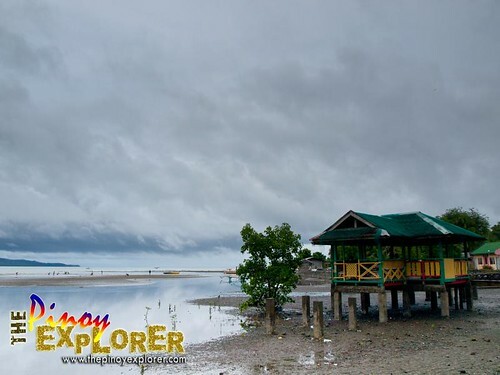 No blue skies and cotton-like clouds to shoot, but it had that view of a seascape that reflects rain clouds, gleaning fisherfolks and kids during low tides--creating interest and drama. Not bad at all! 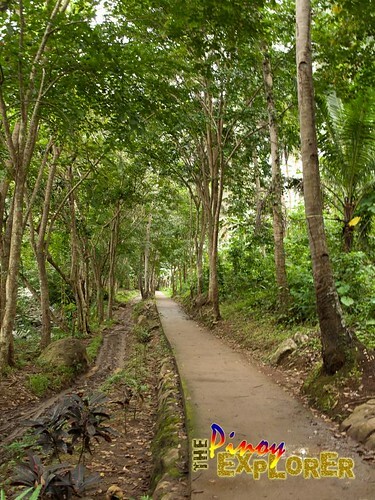 The cemented pathway along the river lined up with coconut and narra. On my first visit, I never had the chance to walk through and along its river. So when I had the chance on my second visit, I thought I should take some more photos. I was told there is a waterfall 1-hour walk away (again, depending on how fast can you walk or climb), but then I was there on an official visit this time, and have to go back to Calapan that same day. Perhaps, I should go back to visit its falls. So I just had to be content taking some photos I took going to the cooperative's project I was evaluating. For them, it is just an ordinary part of the community, but it is not only me who told them they are lucky having this natural resource right in their backyard. 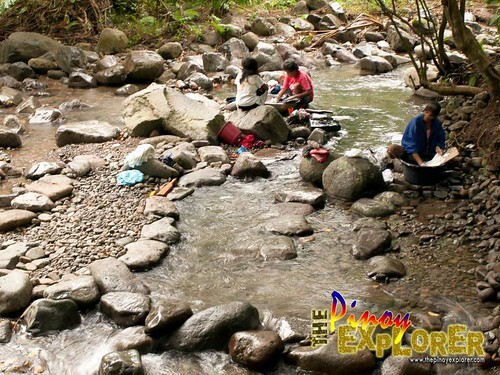 Crystal clean river, where children take a bath and women do their laundry. On our way back, I took some more photos, until we bade them goodbye. Perhaps, not the last goodbye. I was told, there are places that need to be explored more. I hope to revisit it again when the right time comes. Going back to the community. 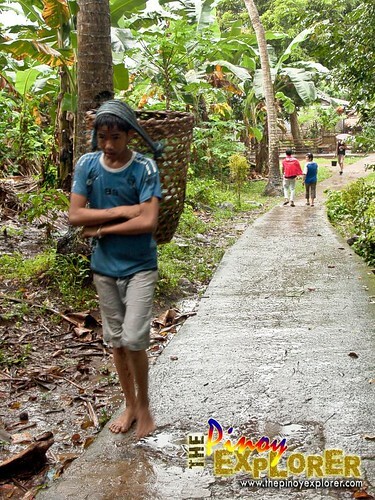 A teenage boy carrying a head basket. 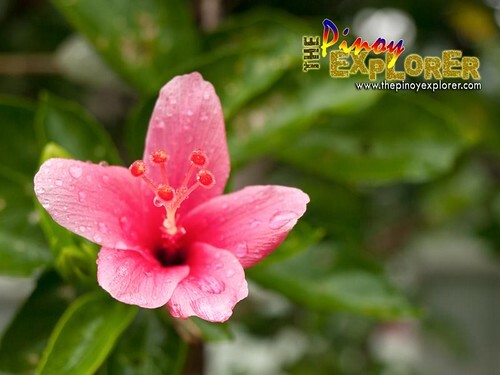 Fascinated with a lot of gumamela flowers that come in different varieties and colors. 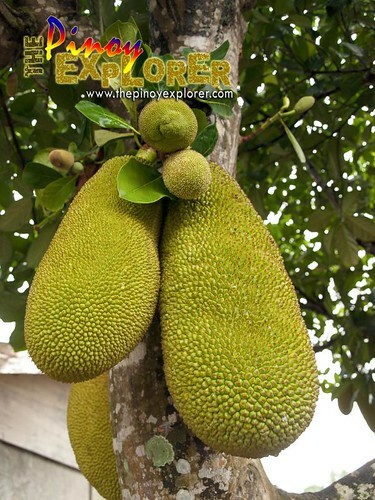 Amused by these langka fruits hanging over the road. 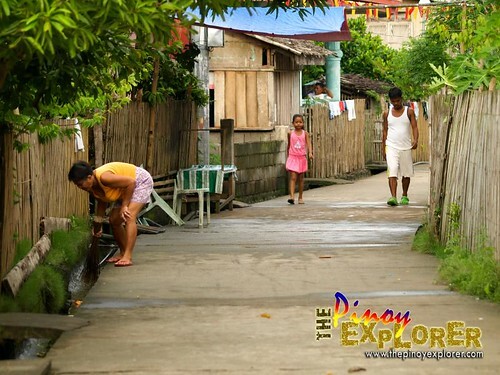 For more photos, please visit Revisiting Barangay Calima set in Flickr.